momsboard's range of soft magnetic puzzle sets are delightful. Each character is into 2 pcs. Mix and match puzzles to create an assortment of various characters and have fun creating your own unique ones. 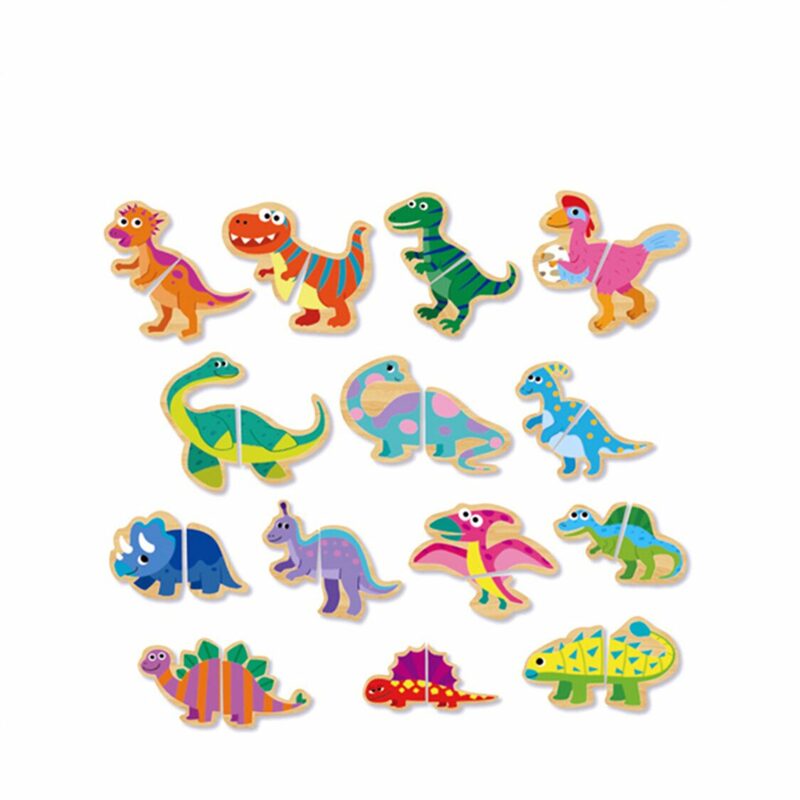 You will see how much the little ones enjoy matching the puzzles and extend vocabulary according to each theme(Animal, Transportation, Dino, Occupations). The magnets are made with thick and smooth EVA material. It is durable and long lasting. The images of the pictures are printed clearly and sharp. At the back of the picture is made of strong magnet which do not fall off easily. Puzzle pieces can be removed and fit in the cavities of the board. It helps to sharpen their power of observation and exercises their memory, improves finger coordination.